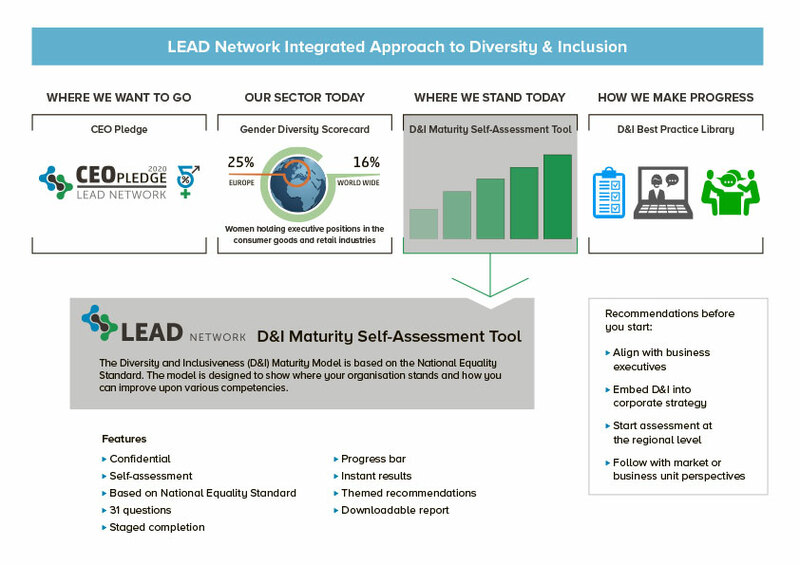 LEAD Network now has self-assessment software available that enables Partners to better understand how far along they are with their D&I journey and helps them identify opportunities for improvement. Participating companies complete 31 questions and the system instantly calculates the company’s position on a 5-scale Maturity Model. The system also provides a report with strengths and weaknesses and offers recommendations for improvement. The D&I self-assessment system was tested and approved by four of our Partners: Ahold Delhaize, METRO, P&G, and GSK. Based on their feedback, we developed a simple training kit to use the system. 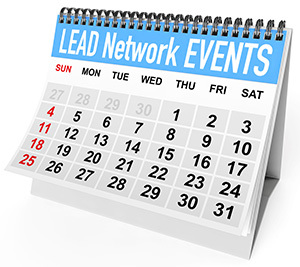 LEAD Network is now in the process of rolling the self-assessment tool out to Foundation, Gold, and Silver Partners. 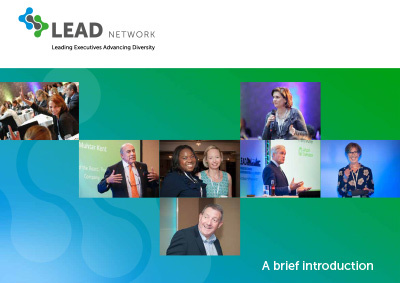 The flyer below tells how the system fits the LEAD Network integrated approach to Diversity & Inclusion, its features and recommended approach.